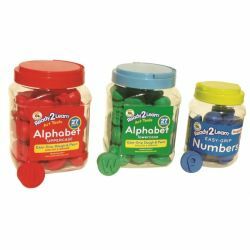 These English/Spanish letters are ideal for young children to use with dough and paint. Easy release surface and washable for easy clean up. Letters are approximately 1". Ages 3 years and up.